Marketing a business successfully is mainly down to the creative brains behind either specific campaigns or what appears on the company’s website. The two need to mesh together so that the same message is given out and potential customers and clients can get easy access to what is being sold. Concepts are crucial because without the right message development and delivery the message can get lost amongst hordes of competitors and others who can sell what they have in attractive packages. This is where the visual aspect of marketing becomes key. It’s great to design an appealing website with carefully designed logos and drop down menus in colors that draw the eye, but as high-tech companies develop more complex products it’s just not enough now to put in reams of text with product specifications. That’s an object lesson in putting potential new clients off. What they want to know is what this product does, how it is going to help them and what it looks like. Tech specs and stats can come later – once the potential buyer is intrigued and wants to know more. This means that the marketing strategy has been effective. Every business is competing to be noticed and to attract attention. A shrewd marketing strategy will use every tool available to get and keep the interest of potential customers. Words are fine when well written and laid out. They’re essential for going into product detail, but for many high-tech companies, the use of videos strips away the often jargonistic information given out and cut to the chase. The point of using good quality, well-crafted video is to make an impact. It needs to show what the product does in the appropriate environment, should not be too long and also be shot with good light and focus. Amateur videos are a turn off for professionals who are looking for a high-quality tech product, so companies heading down the marketing video track need to get professionals in to organize the best advertisement possible. Nothing stands still in the world of marketing and there’s little doubt that the internet is driving new ways of connecting with people. Many companies working to put clear and succinct messages into the arena are already using the production of videos to drive traffic to websites and aim for good conversion rates. The cost of developing scripts and stories is constantly decreasing though that does not mean that a compromise in the quality of what goes on screen. Many companies do not have the experience in-house to produce high-quality videos so there are many businesses specializing in video production that can help craft, edit and manage video content for a website. Video has the possibility of transmitting large amounts of information in a short time. A video image lasting a mere two or three seconds can get across a lot provided the imagery is portrayed well. Instead of trawling through mounds of words, images can catch the attention immediately and have a good chance of keeping it. It’s important to remember that web surfers, even business folk, have short attention spans so they need to be grabbed and held by what’s shown. As an aside, the website should also be easy to navigate. To showcase how effective this can be one can take a look on rinco-usa.com to see how a particular company has prepared a range of embedded videos on its site. These multiple videos are simple and effective ways of demonstrating what their machines actually do, how they are applied to various situations. Ultrasonic cutting of textiles, welding, and preparing and wrapping sandwiches are some of the services seen on video, a highly effective way of getting the right message across without having to produce a long list of what they can do. Online videos are watched every day by billions of people worldwide and so can be the entry into markets that otherwise might not be tapped. Over 90% of B2B customers plug-in to watch online videos and there is a significant percentage of consumers who state that they trust the ads in online videos. YouTube is a prime source for searches and many companies use this as a medium for placing their marketing videos. Facebook and Twitter are also important social media sites where millions of videos are shared every week. The rise in the availability of the internet and faster download speeds has helped to spread video marketing far beyond the desktop computer. Portable media such as lightweight laptops and notebooks, tablets and cell phones have transformed the way information is transmitted and received. Because links to the web are accessible from practically anywhere there are huge opportunities for video marketing for innovative businesses that are thinking ahead. Knowing how viewers interact with videos is a key part of how a business can track their behavior, providing insights that can be useful for further marketing or tweaking what is already up there with video hosting sites. It’s worth taking the time to research various sites that host video content to ensure they are the best fit for what the business is offering to consumers. There’s nothing wrong with using traditional ways of marketing but as the world gets more connected businesses need to be in the loop with tech developments. It’s all very well to have the latest, and extremely useful, machine but if nobody knows about it that’s not helpful. 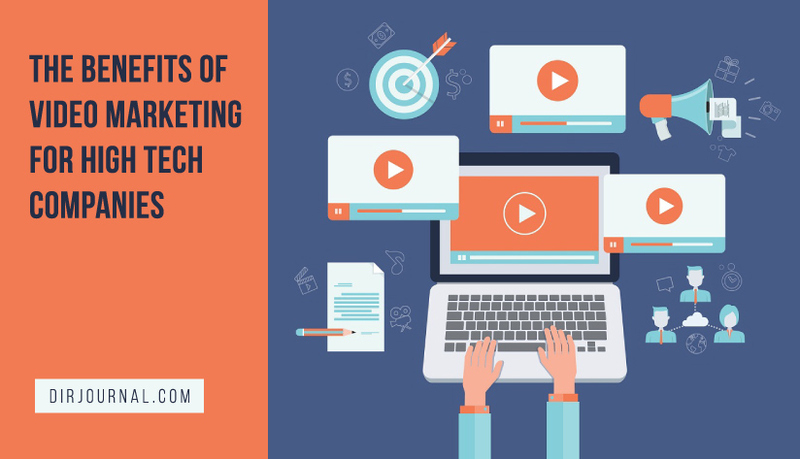 Using video marketing is a major way ahead, and companies that have already embraced it are already reaping the benefits. Building it into a marketing strategy is likely to bring many benefits.